By using the Parent Portal, you accept the terms of the Acceptable Use Policy at the bottom of this page. New to the Parent Portal? The JCPS Parent Portal (run by Infinite Campus) allows you to track your child’s academic progress and develop a partnership with your child’s teachers. Infinite Campus is a secure and convenient way to monitor your child’s attendance, assignments, daily grades, and class schedule as well as bus and health information. JCPS is offering the Parent Portal to parents as a means to further enhance communication and promote educational excellence. The portal lets parents view their child's records anywhere, anytime. In response to the privilege of accessing the site, every parent is expected to act in a responsible, ethical, and legal manner. 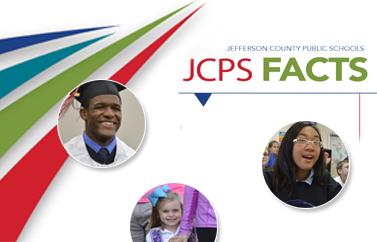 The portal is available to every parent/guardian of a student enrolled in the JCPS District. Parents/Guardians will not share their password with anyone, including their child. Parents/Guardians will not attempt to harm or destroy data of their own child, of another user, of the school district network, or from the Internet through the JCPS Parent Portal. Parents/Guardians will not use the JCPS Parent Portal for any illegal activity, including violation of Data Privacy laws. Parents/Guardians will not access data or any account owned by another parent/guardian. Parents/Guardians who identify a security problem with the JCPS Parent Portal must notify the JCPS District or the local school immediately, without demonstrating the problem to anyone else. Parents/Guardians who are identified as a security risk to the JCPS Parent Portal or any other JCPS District computers or networks will be denied access to the Parent Portal. By using the Parent Portal, you acknowledge that you have read the JCPS Parent Portal Acceptable Use Policy and that you agree to abide by and support these rules. You understand that if you violate any terms of the Acceptable Use Policy that you may lose your privilege to use the JCPS Parent Portal and may be liable for civil and/or criminal consequences.